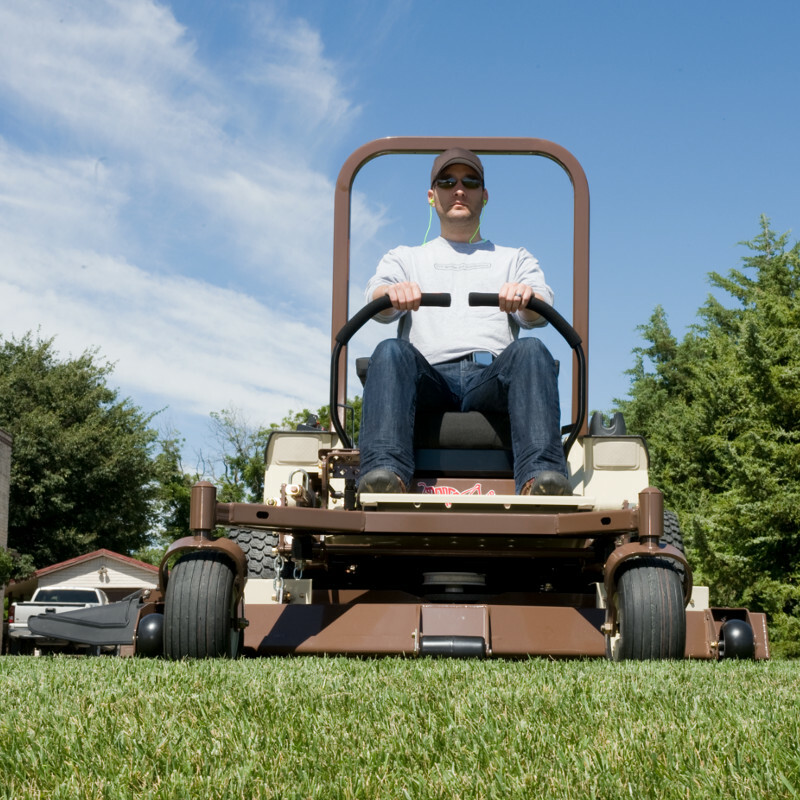 The Grasshopper Model 327 EFI lawn mower with zero-radius maneuverability offers unparalleled performance, professional quality, ease of maintenance, durability and fuel economy in one mid-mount package. Power is provided by a closed-loop Electronic Fuel Injection (EFI) engine that continually adjusts the fuel ratio to use less fuel. Other benefits provide reliable hot and cold starts, reduce emissions and minimized fuel-induced service issues. Air Cleaner Heavy-duty, remote mounted, cyclonic, dual element air filtration. Heavy-duty, remote mounted, cyclonic, dual element air filtration. Deck Spindles Sentry™ Spindle System, 2.5 cm (approx. 1 in.) O.D. shaft. Double bearings greasable from top of deck. Spindle head designed to eliminate fiber wrap. Spindle cones shield housing and lower bearings from fiber wrap and dirt ingestion. Sentry™ Spindle System, 2.5 cm (approx. 1 in.) O.D. shaft. Double bearings greasable from top of deck. Spindle head designed to eliminate fiber wrap. Spindle cones shield housing and lower bearings from fiber wrap and dirt ingestion. Spindle Housing 8 in. (20.3 cm)-diameter housing. Machined aluminum housing on 52- and 61-inch deck. Cast iron on 72-inch deck. 8 in. (20.3 cm)-diameter housing. Machined aluminum housing on 52- and 61-inch deck. Cast iron on 72-inch deck. Operator Seat Ultimate Suspension Ride (USR) iso-mounted, high-back, deep-cushioned, foam-padded, CoolTemp Cordura-covered, padded arms/backrest with lumbar support and coil-spring suspension. Optional CoolTemp Cordura-covered premier suspension seat. Ultimate Suspension Ride (USR) iso-mounted, high-back, deep-cushioned, foam-padded, CoolTemp Cordura-covered, padded arms/backrest with lumbar support and coil-spring suspension. Optional CoolTemp Cordura-covered premier suspension seat. Console-mounted Instruments Low engine oil pressure, engine code light and parking brake warning light, combination electronic fuel gauge/hour meter, ignition and push/pull PTO switches. Low engine oil pressure, engine code light and parking brake warning light, combination electronic fuel gauge/hour meter, ignition and push/pull PTO switches. Transmission Type Design-matched G2 hydrostatic system with auxillary cooling fans, HydroGear variable displacement 16 cc piston-type pumps and high-torque Parker wheel motors. Design-matched G2 hydrostatic system with auxillary cooling fans, HydroGear variable displacement 16 cc piston-type pumps and high-torque Parker wheel motors. Transmission Filtration 7 micron absolute, spin-on / Grasshopper CoolTemp Hydro-Max™ fluid withstands high and low temperature extremes for 1,000-hour change intervals. 7 micron absolute, spin-on / Grasshopper CoolTemp Hydro-Max™ fluid withstands high and low temperature extremes for 1,000-hour change intervals. Parking Brake Disc parking brakes, one for each drive wheel. Disc parking brakes, one for each drive wheel. 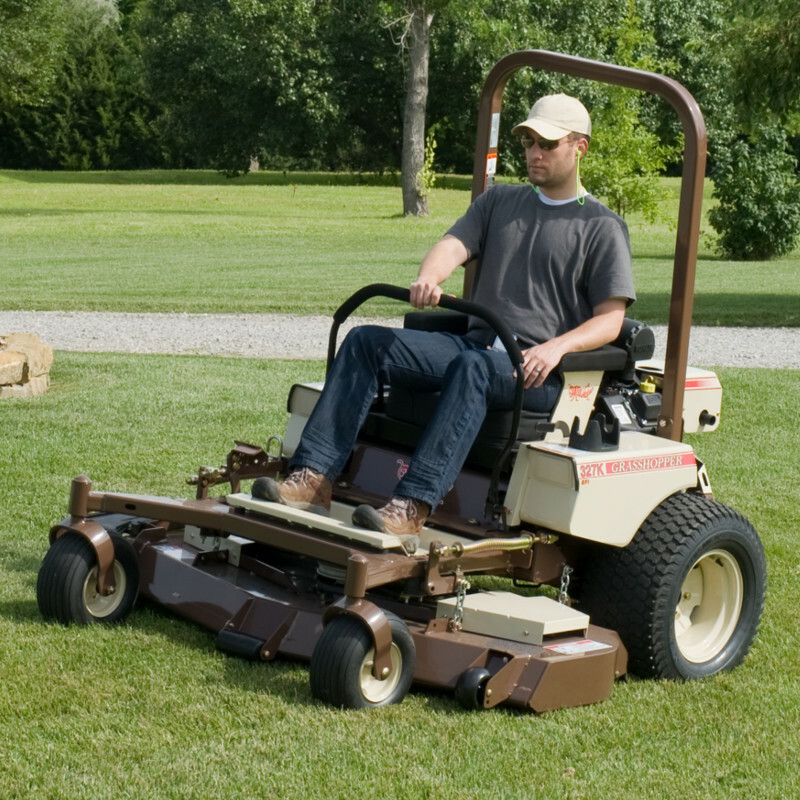 MidMount™ Front Caster Wheels 13x6.50x6; rib tread, pneumatic with greasable, double-sealed bearings to protect from grass wrap. 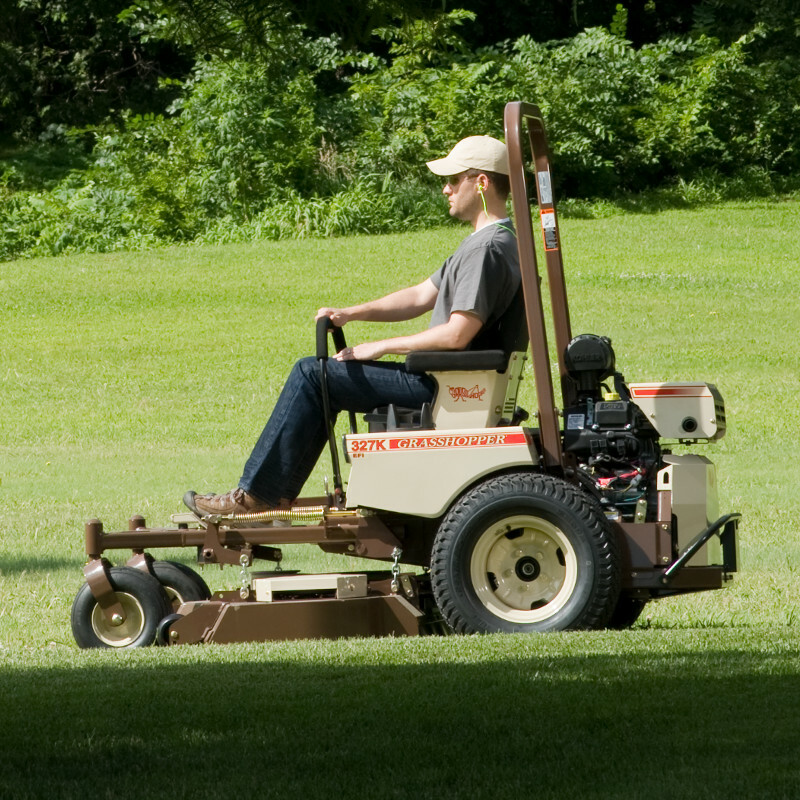 13x6.50x6; rib tread, pneumatic with greasable, double-sealed bearings to protect from grass wrap. 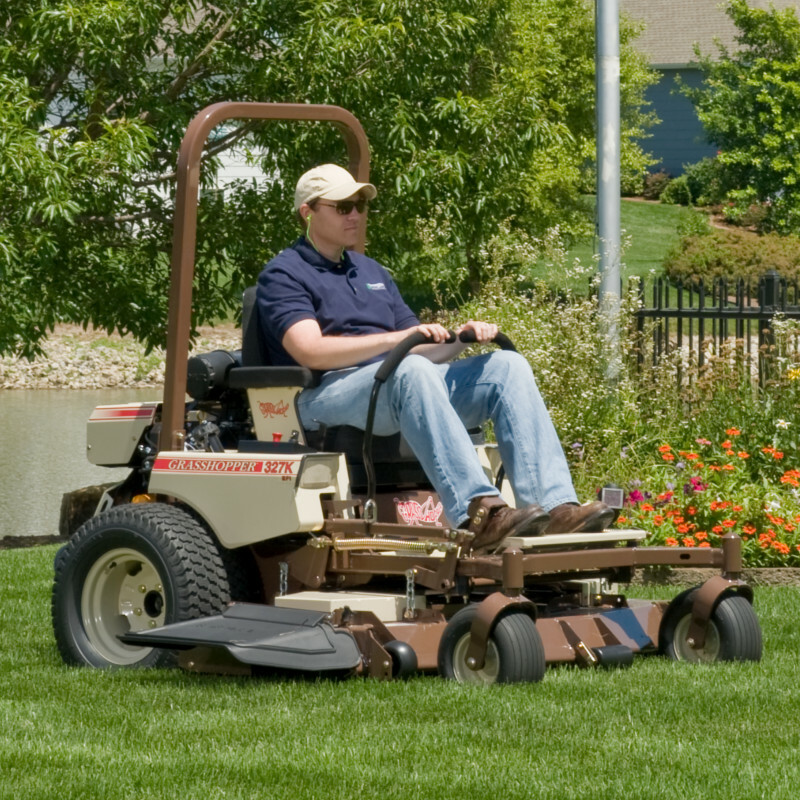 Kelton's Inc is your authorized Grasshopper dealer selling and servicing the complete line of Grasshopper MidMount™ and FrontMount™ mowers for turf care professionals, business and government entities, and homeowners.